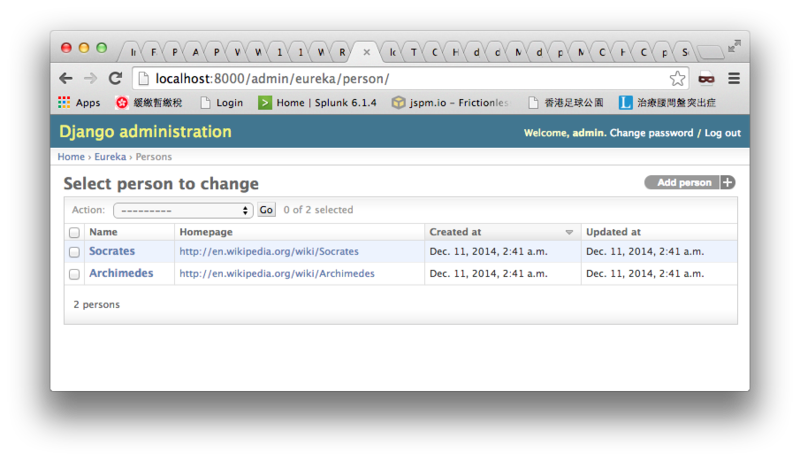 Django – Sort the Djano Admin list table by specific field | Eureka! We could display our model objects on the Django Admin. The list table could be sorted by specific column. Say we have added the creation date to the Person model class. In the admin.py, we could add the sorting by setting the ordering attribute. I love how many tabs you have open in your browser.